Tekken has long been an odd series for me. I have liked almost all of the previous entries in the series – Tekken 5 was the only real release that did not gel with me and I bounced off 6 quicker than I perhaps should of – but none of the subsequent releases have really lived up to 3, which I tended to regard as the pinnacle of the series. I was quite excited by the prospect of the cross-over of Tekken X Street Fighter and unhappy that it seems to have been put on the back-burner to work on a “full” Tekken title. 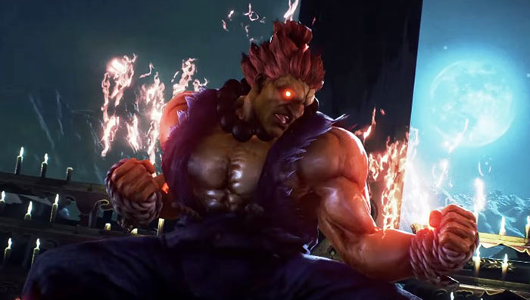 I am not sure if the inclusion of Akuma is a remnant of the initial development of TxS but it is nevertheless a welcome addition. 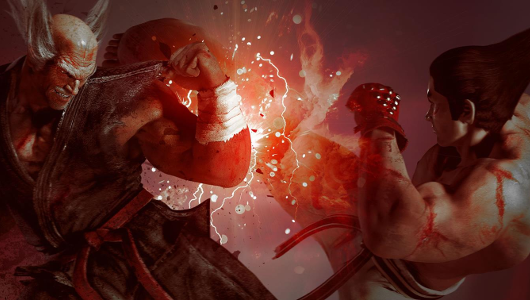 Producing fireballs or dragon punches and having an EX meter in the Tekken universe feels slightly odd, like suddenly being able to make touchdowns in FIFA, but it feels solidly implemented and satisfying in execution. This also seems to serve as the starting point for the story mode, pitting Akuma in a battle against Tekken‘s headlining Heihachi. The story mode on display at EGX 2016 ended after this first encounter so did not really give too much indication as to how this occurred and what effect this will have in the convoluted and bloated pre-existing story but it is still an intriguing starting point. We got to spend a bit more time with the multiplayer allowing us to both try a number of new and returning combatants. I found Katarina Alves an easy character to start with and her Brazilian nationality was not the only reason she reminded me of Eddy Gordo, as she had a rhythm to her combat that felt familiar without feeling as cheap as Eddy – for some reason some of her kicks also reminded me of Hwoarang. Shaheen is the first Arab character added to the series and again was quite easy to get to grips with, he most reminded me of Leon from the Dead or Alive, perhaps as his fighting style is “military self-defence”. Claudio Serafino felt good to use with a nice mix of fast and powerful attacks but his magical based style might take some time to get to grips with – research suggests that his character, who works for an Anti-Devil organisation that may help shed some light on the origins of the Devil Gene. The other new character I got to play was Gigas, he may not be entirely human but this hulking Big-Daddy-looking tentacle beast seems strong, powerful and fun to use, possibly as his “destructive fighting style works well with the new Rage Art and Power Crush mechanisms – although it may just be that he was big and red! I was also pleased to investigate that my previous favourite character, Paul, still seems to pack some punch. The Rage Art mode has been changed since its introduction in the Arcade version but works as a catch-up mechanic that allows anyone low on energy to perform more powerful hits and Power Crush allows a character to carry on a combo despite being struck by their opponent. I am not entirely sure which one of the systems came into play when close matches came down to the final slow motion encounter (or even if this is something separate altogether) but damn if this did not leave to some exciting and dramatic finishes. With more modes to unlock – the menu showed a “????? ?” option, but I am guessing this will unfortunately not be Tekken Bowl or Tekken Volleyball and I doubt we will see a reappearance of Gon, but perhaps it is time to establish a new benchmark and it looks like Tekken 7 has all the right components to do so.